Seagate has launched the "world's fastest hard drive for mission critical applications". 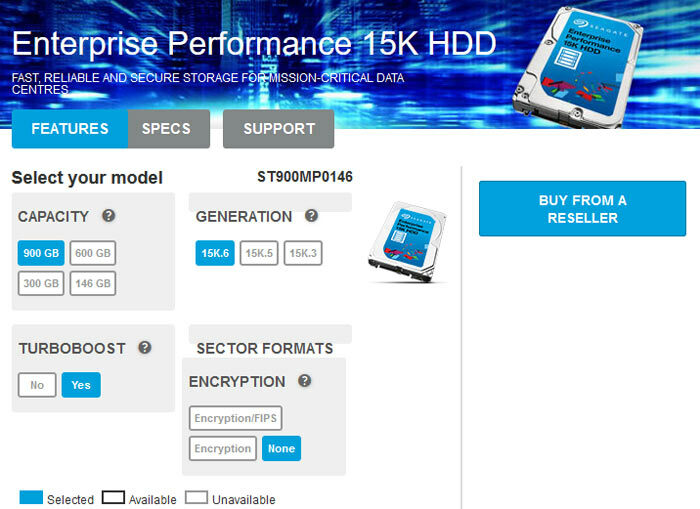 The storage firm still sees a healthy demand for its Enterprise Performance 15K HDDs, which can deliver up to 315MB/s sustained transfer rate and are available in capacities up to 900GB. Seagate's 6th generation high-speed enterprise performance HDDs will, however, be the last of their kind. 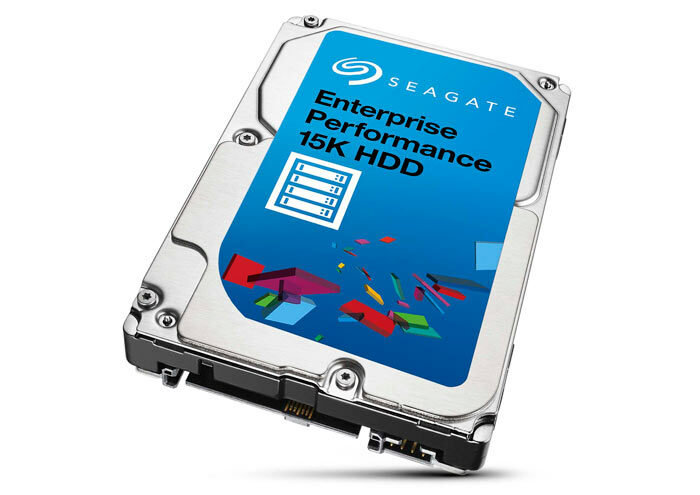 According to Tom's Hardware, Seagate representatives have said that no future generations of the Enterprise Performance 15K HDD are being worked upon. Of course the reason is – due to the advancement in SSD technology with its attractive performance, lower power consumption, and greater density. Back to the news in hand, Seagate's new 6th generation Enterprise Performance HDDs will "improve your TCO for faster time-to-data for transaction-based applications," says Seagate. The new drives are available in capacities of 300GB, 600GB and 900GB. Across the capacities these 2ms latency drives offer a sustained transfer rate (outer to inner) of 315 to 215MB/s. As you might expect of enterprise drives, these Seagate Enterprise Performance HDDs use the 12Gb/s SAS interface. Another consideration important to enterprise might be the claimed 2 million hours MTBF figure. Seagate's TurboBoost technology (with 16GB NAND buffer) for optimum response times, and Advanced Write Caching (8MB NVRAM cache) for mission-critical storage workload efficiency help play a part in the appeal of these 6th gen drives. A 256MB multisegmented DRAM cache is also present. Average operating power consumption of the drives varies by model between 4.7 and 5.8W. Whichever model you buy, Seagate provides a standard 5-year warranty. That's excellent for a mechanical drive though! But for the same price you could get at least half-a-dozen bigger consumer drives and put ‘em in raid 0+1, get 15TB worth of raid0 at 500MB/s on the inside track and 750MB/s at the edge. Yes, but these are “Enterprise” SAS drives and to be fair, that's not exactly a typical SAS-based enterprise use you're putting them to. Price is not necessarily the prime, or even a high, criteria. But for the same price you could get at least half-a-dozen bigger consumer drives and put 'em in raid 0+1, get 15TB worth of raid0 at 500MB/s on the inside track and 750MB/s at the edge. These drives would usually be deployed by the tray-full, set up as raid 6 stripe sets. If you are reading from 20 drives at once then throughput isn't a problem, but latency still is and with a 15K drive you have half the average wait time for your sector to appear under the heads. However, with an SSD there is no rotational latency, which is why I struggle to see why there is still a market for these things.